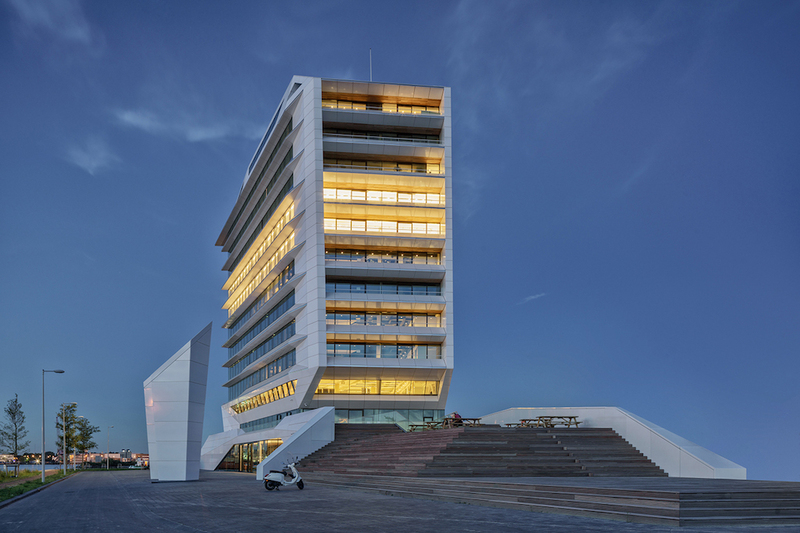 Right at the tip of the Danzigerkade, in the rapidly developing industrial Houthavens district, a new landmark has appeared. 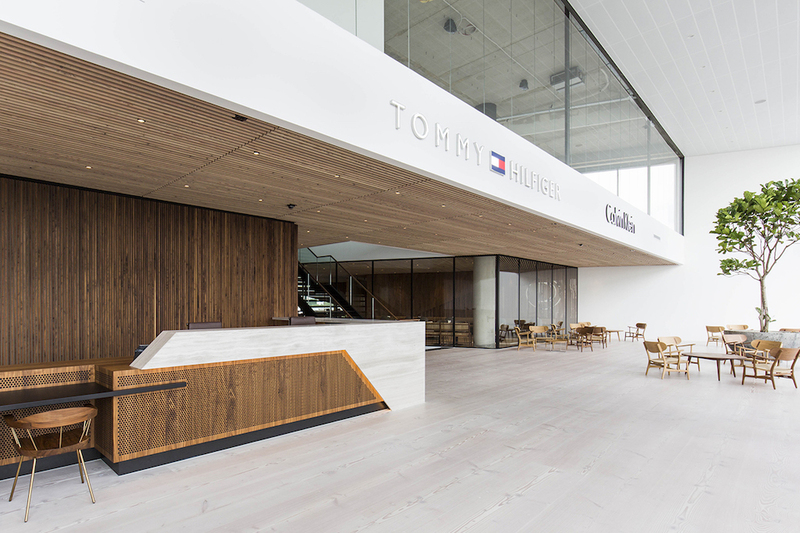 In designing a new European HQ for Calvin Klein & Tommy Hilfiger, we were inspired by the waterfront location. 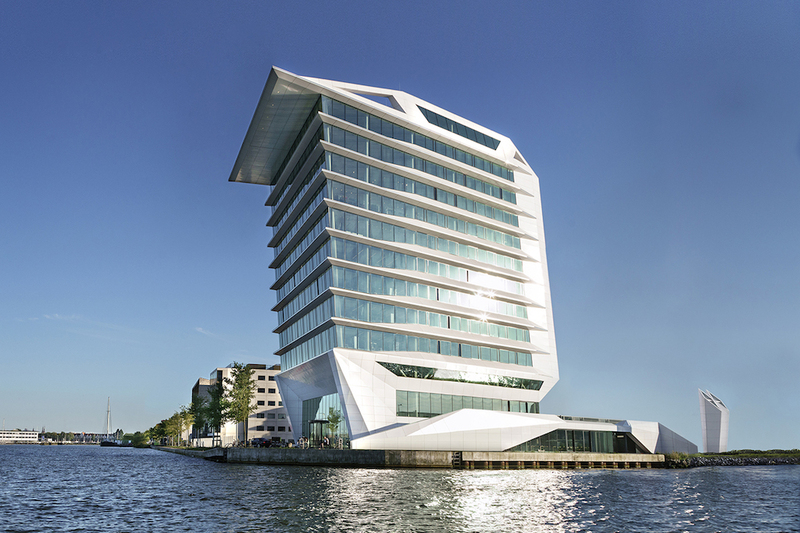 The former port turned creative hub shares the IJ with two contemporary landmark buildings: the EYE film museum and Muziekgebouw aan t ’IJ. 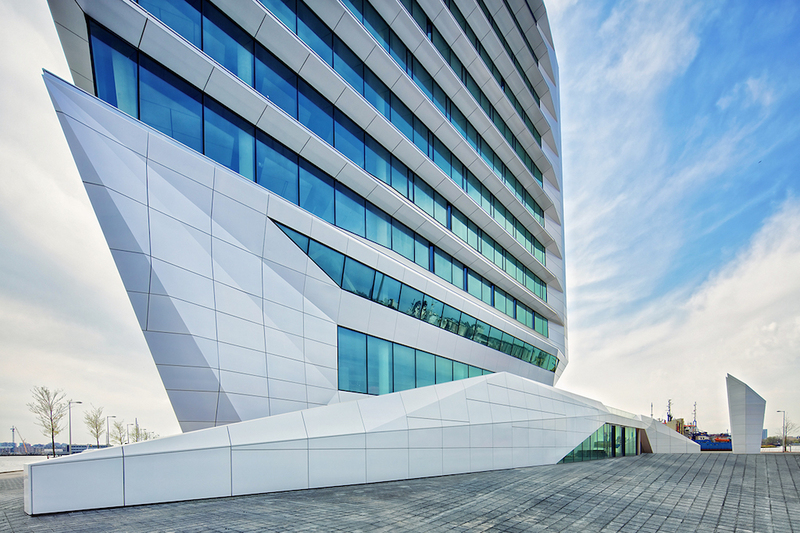 We realized that our own building could complete a stunning architectural triangle. Doubling the usual permitted height gave our building a commanding presence. Its oblique lines create dynamism, while gracefully suggesting the form of a ship. Gleaming white aluminium and steel add to the maritime effect. 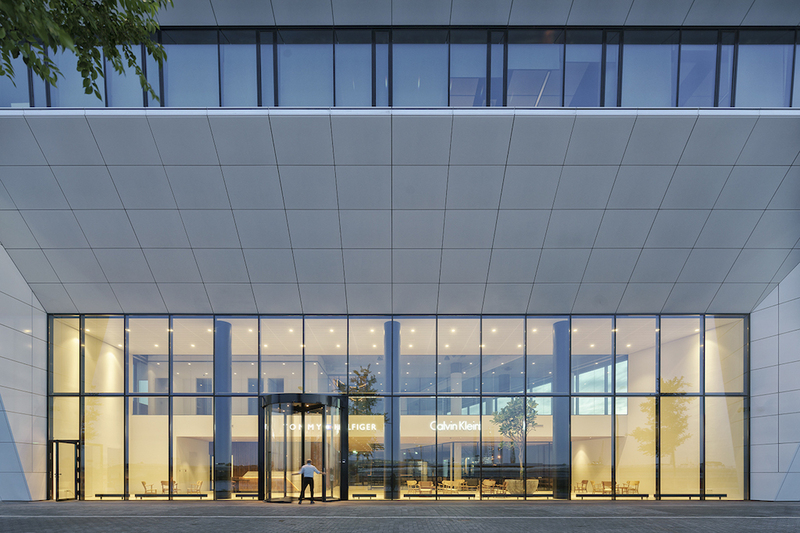 We embraced the water on three sides by adding a huge layered terrace and grand entrance – a wonderful welcome for Calvin Klein’s visiting clients. Above, balconies, roof terraces and glass maintain the transparency and offer spectacular views from each of the 12 floors. 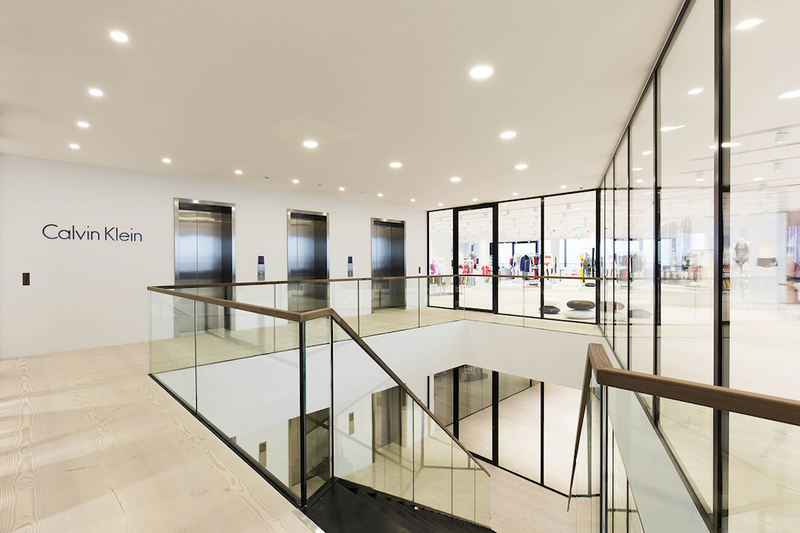 Inside, it provides an equally impressive environment for the Calvin Klein brand to present its products. 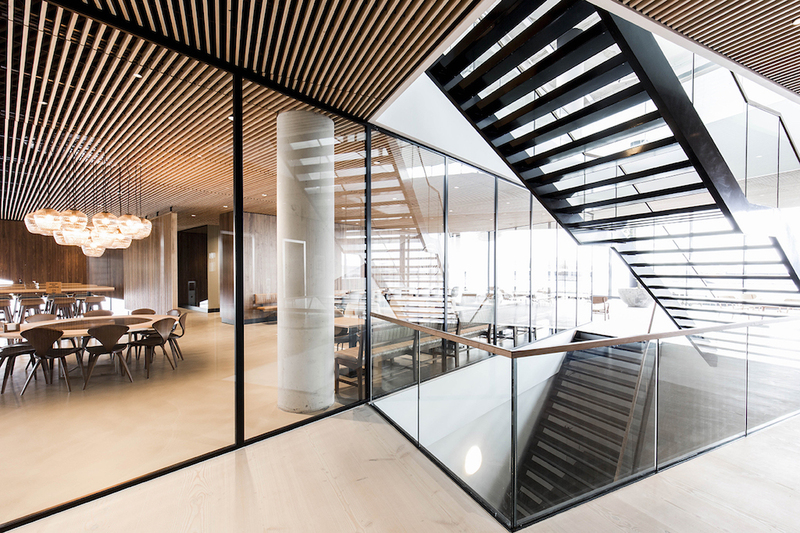 The 12 floors contain over 12,000 m2 of sleekly detailed showrooms and workspaces, designed by MVSA and Calvin Klein Creative Services. 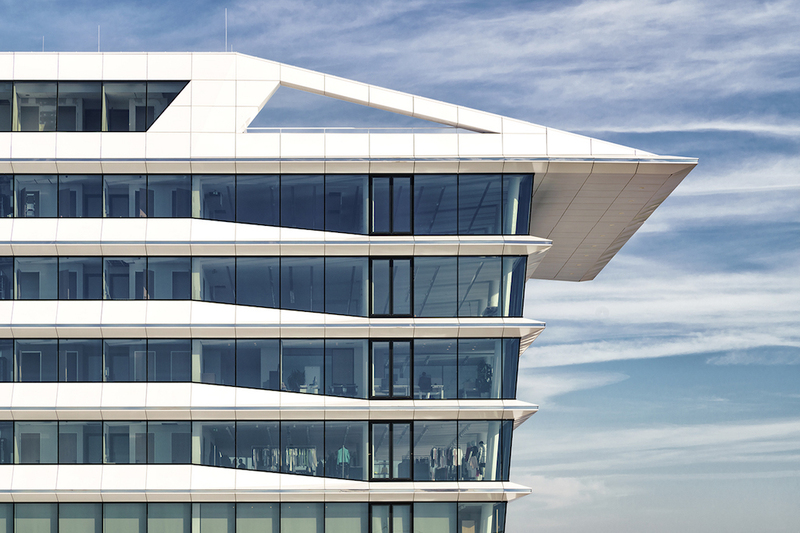 From top to bottom, the building fills the company’s practical needs: on the roof is a high-impact terrace that’s perfect for entertaining, while underground there are parking spaces for 150 cars.